A government file has been opened to investigate Democratic Institutions Minister Maryam Monsef for possible citizenship fraud, the Sun has learned. An investigation of this type could lead to a number of outcomes, including possible citizenship revocation. The Sun has confirmed with multiple sources that complaints have been made to the Department of Immigration, Refugees and Citizenship Canada (IRCC), as well as to the Canada Border Services Agency (CBSA), a division of the Department of Public Safety. CBSA is responsible for enforcing the Immigration and Refugee Protection Act. CBSA officials report to the Minister of Public Safety, Liberal MP Ralph Goodale, while IRCC officials report to the Minister of Immigration, Liberal MP John McCallum. In 2011, in the aftermath of RCMP investigations discovering wide-spread citizenship fraud, the government established a tip line. Much like Crime Stoppers, the line allows private citizens to anonymously contact the government and relay information relating to citizenship cases involving false representation, fraud or knowingly concealing material. 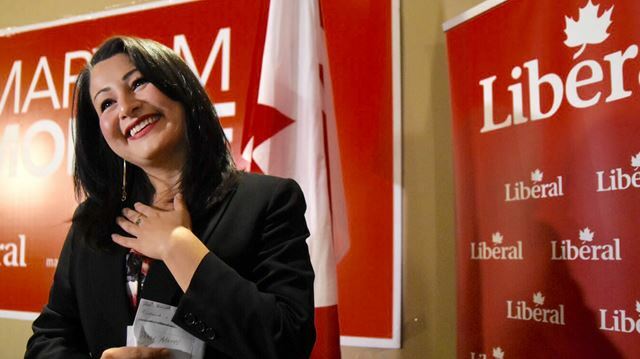 Three separate sources have told the Sun that the government has received such tips relating to the case of Maryam Monsef, leading to the opening of a file investigating possible citizenship fraud.